US Secretary of State Rex Tillerson says "hearts are broken" across America after Manchester bombing. He says will intensify efforts to defeat ISIS on battlefield. Tillerson also condemns release of Manchester bombing information and says the US takes full responsibility for leaks of Manchester bombing details. That's according to Reuters. Investor optimism has increased but it is far from euphoric despite extremely low levels of market volatility, NN Investment Partners says. The NN IP Uncertainty Index, which is based on an analysis of news and social media content has improved since December 2016 from -0.64 to -0.5 but it is still below the levels that were seen last year (-0.39). The Index has ranged between 0 and -0.66 since end-2008. NN IP also notes that cash levels in investors’ portfolios are still above average and the ratio between optimist and pessimists investors in the US is close to neutral. However, in the US equity market, realized volatility is far below its 30-year average – 6.1% versus an average of 13.2% - while the VIX has fallen below 10 earlier this month, which is a rare event, and the VSTOXX is below 15. Patrick Moonen, Principal Strategist Multi Asset, NN IP, commented: So what could be the next source of volatility? There are several candidates. There is geopolitics, including the soured relations between Russia and the West, over the North Korean nuclear threat, to the situation in the Middle East. A cyber security incident undermining confidence is another potential source. This is difficult to assess properly or to time accurately and account for, but it is something that investors should not lose sight of. Also the shift in central bank policies whereby the unconventional measures are gradually scaled back could be a source of volatility although we think that central bankers will tread carefully preventing turmoil. And of course, there is the possibility that this calm will indeed morph into complacency which will eventually result in unwarranted risk-taking and higher volatility. Stability creates instability. U.S. President Donald Trump said on Friday that North Korea was a "big problem", but assured Japanese Prime Minister Shinzo Abe that issues surrounding the secretive Asian state would be resolved. It is very much on our minds... It's a big problem, it's a world problem and it will be solved. At some point it will be solved. You can bet on that," Trump said sitting alongside Abe in a bilateral meeting ahead of a Group of Seven summit. U.S. President and Japanese Prime Minister agree at meeting to cooperate to enhance sanctions against North Korea, that's according to Reuters citing the White House. 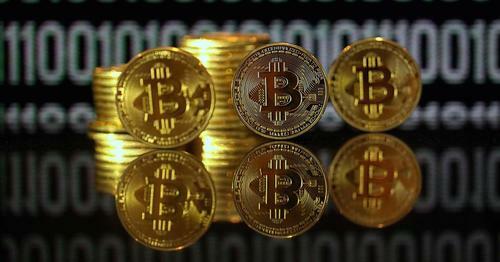 CNBCAfter the correction, the ethereum rally will continue, one analyst told CNBC. Campaigning for Britain's national election resumed in earnest on Friday with the country on high alert for further attacks after a suicide bombing killed 22 people in Manchester. After the deadliest attack in Britain since July 2005, a new poll indicated that Labour had closed to five points behind Prime Minister Theresa May's Conservative party, with police budgets and foreign policy emerging as key campaign issues. Armed police backed up by the army are patrolling cities and trains, and hospitals have been warned to be ready. Home Secretary (interior minister) Amber Rudd said the threat level remained at its highest level, "critical", meaning an attack is expected imminently. JTAC (the Joint Terrorism Analysis Centre) have assessed that the level of threat should remain at critical while the operation continues, Rudd said. The public should be in no doubt that there is a large threat. 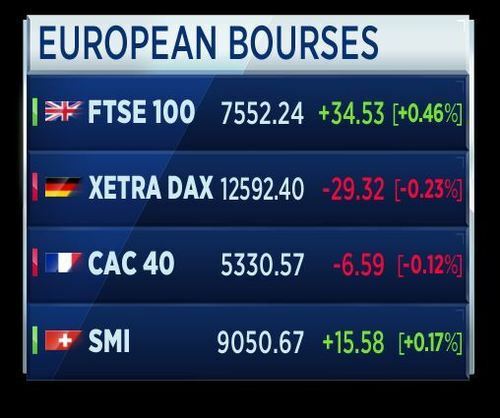 European bourses were lower on Friday afternoon as slumping oil prices continued to weigh on investor sentiment. 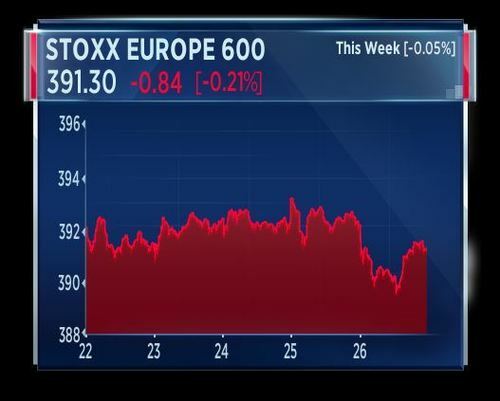 The pan-European Stoxx 600 edged lower, down 0.28 percent, with most major bourses and sectors in negative territory. The FTSE was buoyed after sterling fell to a 10-day low following news of a diminishing lead for the U.K.'s Conservative Party ahead of June 8's general election. 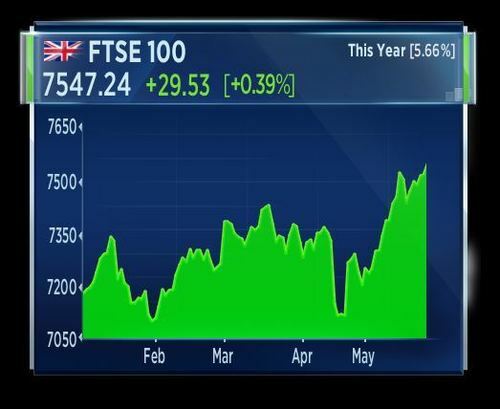 The FTSE was up almost 0.4 percent. 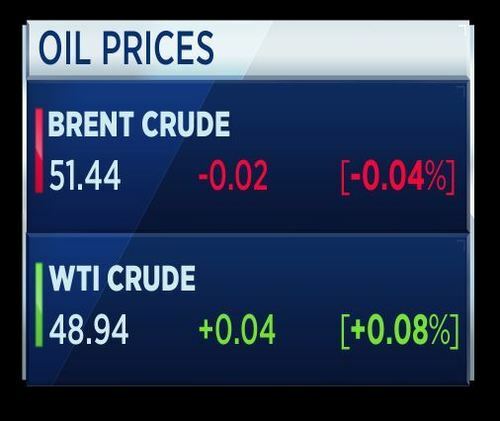 Gold hit its highest in nearly four weeks on Friday in response to a weaker dollar and political uncertainty that led investors to shun riskier assets in favor of bullion. 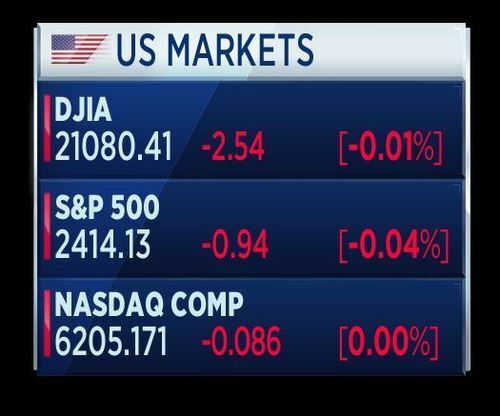 We have had the political noise coming from Trump and the U.S. administration and there is a certain element of uncertainty in the markets in general, which is supporting gold. 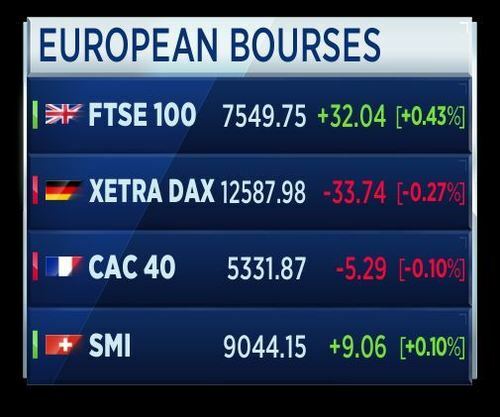 Equities are also down, analyst Carsten Menke at Julius Baer in Zurich said. 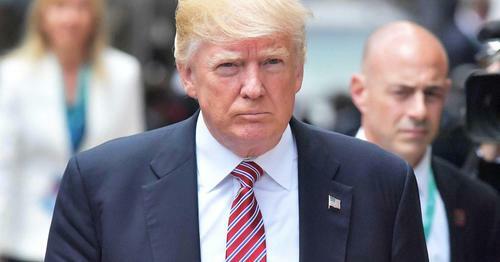 Leaders of the world's rich nations face difficult talks with Donald Trump at a G7 summit in Sicily on Friday after the U.S. president criticized NATO allies for not spending more on defense and accused Germany of "very bad" trade policies. 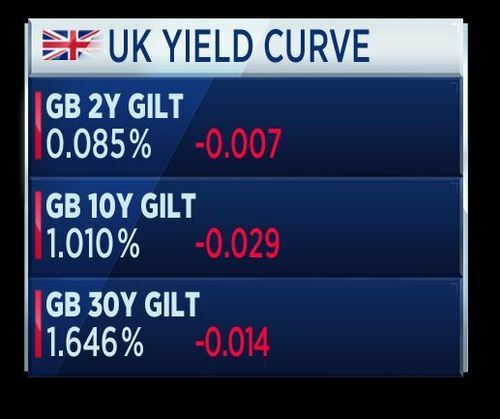 British five-year government bond yields dropped to their lowest since February on Friday and yields on other gilts fell to their lowest in around a month, tracking a broad rise in German and U.S. debt prices. 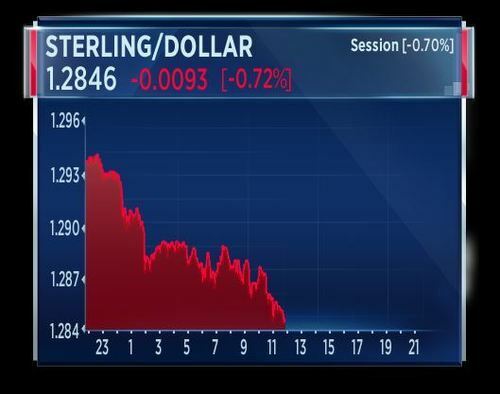 Twenty-year and 30-year gilt yields dropped to their lowest since late April, as fixed income prices rallied, shrugging off a sharp fall in sterling driven by concerns that the ruling Conservatives' opinion poll lead over Labour had narrowed. British Prime Minister May and Trump reaffirmed commitment to increasing trade between the UK and the US, including a post-Brexit trade deal, that's according to Reuters citing May's spokesman. 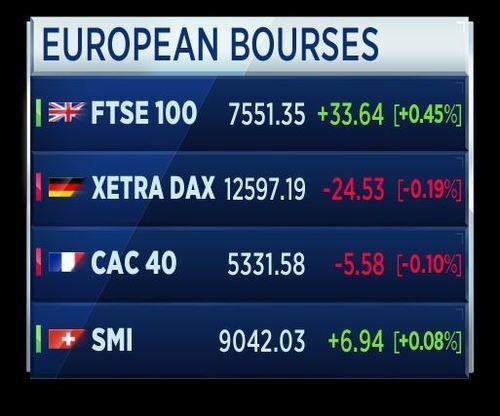 And that's all from us here today at World Markets Live. We will be closed on Monday but will be back on Tuesday with a lot more news and analysis. Watch this space and have a lovely long weekend for those of you in the UK and the US.